I am an angry white person in Seattle, having trouble breathing. Thick racist smog is in the air, choking life out of espoused ideals for equality. Diversity is a catch phrase for empty gestures. Justice is ridiculed by inaction and apathy. Racial smoke distorts truth and hides complicity. A predominantly white basketball team hurls racist slurs at the winning team with darker skin. Cognitive dissonance. White is supposed to win. It gets ugly when it doesn’t. News editors craft a headline about a community college: “Whites unwelcome at diversity ‘Happy Hour.” Their clouded vision fails to include documented stories of how people of color are often treated on a predominantly white campus. Valid reasons why they might want to talk to each other. Alone. White has might. It determines how the story shall be framed. The white racialized frame is too narrow for a headline that says, “White people threatened by people of color having private dialogue about their daily experiences of racism.” The Master is still fighting for total control. Every day. Inflicting great harm. Where are the angry white voices calling out for authentic racial justice? Lost within the strident whining of white supremacy about reverse racism? Or simply silent. The words of Martin Luther King, Jr. still ring true today. The silence creates a vacuum that continues to be filled with racist behaviors in our streets, schools, workplaces, churches, courts and government. Anger is an appropriate reaction to racist attitudes, as is fury when the actions arising from those attitudes do not change (Audre Lorde in The Uses of Anger). If you are white, I hope you are angry. Angry enough to take action to balance out the white chorus of ignorance that thickens the smog (207 mostly racist and hateful comments in response to the news article above). What letter can you write, what conversation can you have with other white people, what action can you challenge? Good intentions are not enough. I have a wealth of good intentions. They are a safe place in which to hide. Meanwhile, the racial smog builds. Breathing is threatened. Anger has positive power when channeled effectively. We need more angry white people actively challenging the pervasive system of whiteness that is choking the life out of all of us. “Misguided young man”, “behaved inappropriately”, “thug”. We white people have now have reframed the unacceptable “N-word” to “thug“. Yet, Mark Twain declared in 1917 “We white people are merely modified thugs.” Cognitive dissonance. How can “we” possibly be thugs? Twain explored the history of a sect called Thugs; bandits in India that captured and killed innocent travelers. This led to incorporating the word into the English language. What Mark Twain tells us about the Super Bowl controversy is enlightening says McClatchy-Tribune guest columnist Russ Castronovo. Twain was surely tongue-in-cheek when he wrote that unlike the thugs of India, “we no longer take pleasure in slaughtering or burning helpless men.” Lynching was a horrific but common feature of the American landscape in Twain’s day, as the author of “Huckleberry Finn” knew well. Thuggery is defined as violent or brutal acts, as of thugs. As we substitute “thug” for the “N-word”, we are preying on the innocent to serve our own interests in maintaining our country’s long history of racism. Thug behavior. Abuse of power. Brutal action. A good next step might be to emulate Twain and take stock of our own capacity for thuggishness, says Castronovao. I am a white person and a thug. A reframing that makes me squirm. I harm people regularly with my thuggery. My racist ignorance and power supports the brutal and violent acts of individuals and the normalizing of racism within our culture and institutional structures. Saying my impact is unintentional is a coward’s way out. I am responsible for stopping thuggery or acting to maintain it. It hurts to see myself in this way. Often truth is like that. I am in search of a new way to be white that does not reflect thuggish behavior but behavior that is just and anti-racist at its core. I thought it was another fun jib-jab holiday greeting I had received; people with elf hats or reindeer antlers dancing to a Christmas song. 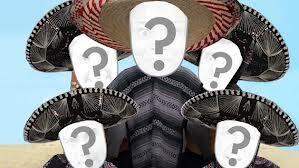 The smiling white face under a sombrero took me aback. Mariachi band attire adorned her and her white family as they danced to Feliz Navidad, bouncing their heads, shaking maracas, and celebrating . . . WHAT? Another opportunity for white people to appropriate other peoples’ heritage for their own benefit? Oh, shucks, it’s funny to see a white person in a sombrero opening a can of mexican jumping beans, swallowing them, and becoming a dancing wonder. 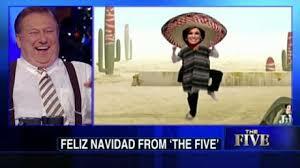 Here is a sample of the greeting featuring a FOX news team. The Mariachi tradition is part of the rich cultural history of Mexico and, as such, deserves respect. Really, Jib Jab? This is one holiday card you should have left out. I’m guessing the majority of people choosing that card were not of Mexican heritage. Those who are have daily opportunities to experience ridicule and denigration; a special card is not needed. I have written Jib Jab about this. What’s more challenging is the upcoming conversation with the friend who sent the card. Yet, remaining silent is to allow the dominant culture to continue to be unaware of the jabbing and hurting it does on a daily basis. Is it time for a Euro-American Engagement Office? The “African American Engagement Office” officially opens next week as an outreach initiative by the Michigan Republican Party. Senator Rand Paul (R-Ky) will take leadership of the Detroit office to “target minority voters.” Presumably, this will help Republicans understand how “those people” think, thus guiding them to understand why they should support the Republican party. This makes me realize how valuable opening a Euro-American Engagement Office would be to understand how white people think. For example, how is it that Rand Paul, a Euro-American, thinks he can be an outspoken critic of the Civil Rights Act, criticize government requirements for businesses to serve minorities and still lead an effort to sway minority voters to vote his party? “The hard part of believing in freedom,” he has argued, is that it requires believing companies should be free to discriminate on the basis of race, religion, or sexual orientation — even though he personally opposes such discrimination. Wow! We white people; we are so puzzling. We say one thing and do another. What is wrong with us? Perhaps the Euro-American Engagement Office can find out. Following the lead of the Republicans who have opened the office in Detroit, which is nearly 83% African American, I suggest The Euro-American office be opened in one of the five whitest cities in the United States: Pittsburg, Cincinnati, Providence, Minneapolis or Portland. While I am sure that there are some Euro-Americans that would insist a Euro-American should lead this effort, others are not really sure they are capable and so a search could be launched for a leader who is a person of color. A Euro-American Engagement Office; think about it. “Race neutral” is fiction at its worst. There is no race-neutral situation in this country. Race is a part of every encounter when racial differences exist. It may not always be the main part, a bad part, or the determining part, but it is always there. People of color know this; white people generally do not. White law professor Ron Bretz, a professor at Cooley Law School and former criminal-defense attorney, was asked for his opinion about the recent Michigan porch shooting. Nineteen-year-old Renisha Marie McBride, a black woman, died on November 2nd when a suburban Detroit white homeowner, Theodore Wafer, shot her in the face as she stood on his porch just before dawn. The homeowner was charged with 2nd degree murder last Friday. Bretz doesn’t see that “keeping to the facts” means we acknowledge that racial difference existed in that encounter. Refusing to acknowledge that race was one part of the whole story can skew the search for truth. If the five white women on the Zimmerman jury had talked about race, justice might have prevailed for Trayvon Martin. It is true that deciding to charge someone with a crime is based on the facts of law; not facts of race. 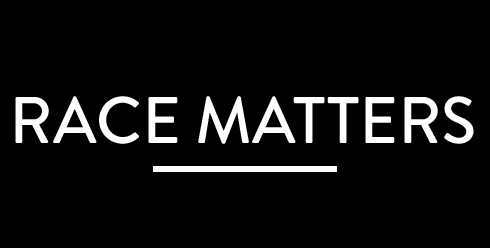 It is also true that our unwillingness to name and talk about race has led to charges not being filed when they should have been and verdicts being unjust. In my experience, nobody runs faster from a discussion on race than white people. We are scared of it, don’t know how to do it, and are deeply hoping that our colorblind ideology – “I don’t see color when I look at people” – will somehow turn out to be true. It is way past time to do away with that fiction. Years of socialization on the power and privilege of the individual (in my white circles) makes it so easy to take affront when I perceive something bad happens to me that is good for others whose skin color is different than mine. I can creatively craft a story that blames it on racism. These are White folks who are claiming that the Obamacare tax on tanning beds is “racist” against White people. These are White folks who are claiming that affirmative action is racist against them. These are the White folks who honestly believe they suffer more racism than people of Color. One of the most important concepts for us all to learn is that the “isms” are not about individual behaviors (although those acts of bias and bigotry absolutely matter). It is the institutional and organizational power under-girded by such beliefs that sustains oppression. That’s the card we need to always hold up. If the hundreds of rioters had been primarily black males, would your reaction have been the same? That’s a question I asked myself as I read more about how hundreds of mostly white men rioted in Bellingham Saturday, October 12th – just north of Western Washington University. 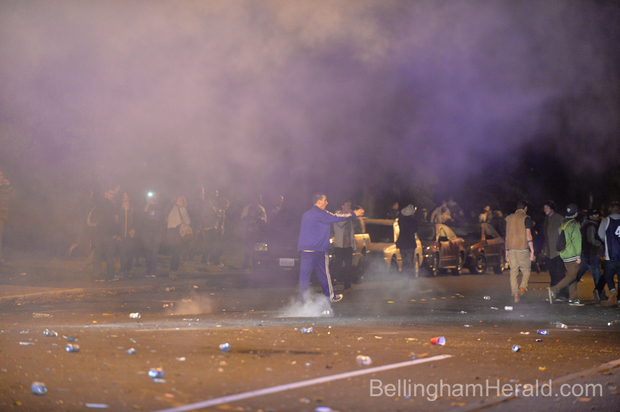 Glass bottles, dishes, cinder blocks, lawn chairs and cans were thrown at officers, police cruisers, a city bus and other rioters, Bellingham Police Lt. Mike Johnston said. Several officers received minor injuries from broken glass, according to a police press release. Several vehicles were taken out of service with several thousand dollars in damage, according to a news release. A city bus and private property were also damaged by the thrown objects. 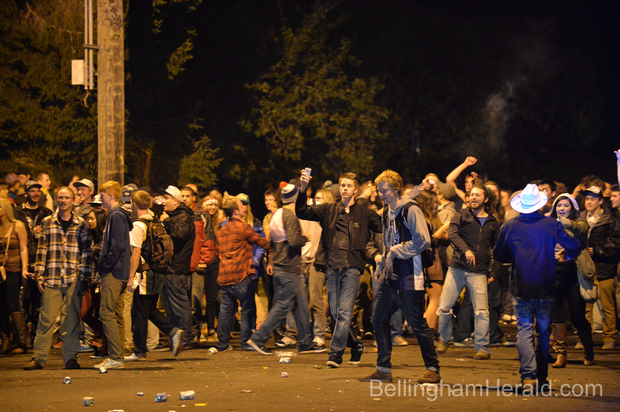 It was the rowdiest crowd that Bellingham Police Sgt. Mike Scanlon said he had seen in his more than 20 years in law enforcement. Every moment of every day, I need to “check my frame” to honestly examine where the judgments I’m making have taken root in my life. I’m responsible for uprooting the evil of racism.